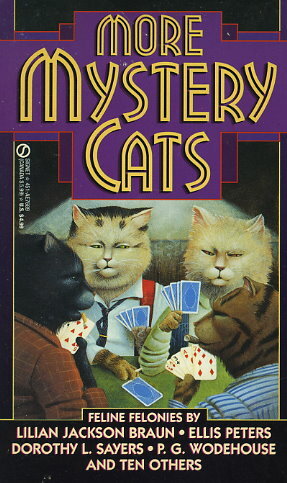 Cats and crime make an irresistible combination in this second volume of Mystery Cats. Bestselling author Lilian Jackson Braun uses her favorite breed, the Siamese, to chill us with a tale of a sinister violin-playing villain who gets his comeuppance, at the paws of the imperturbable Madame Phloi. Frances and Richard Lockridge, creators of Mr. and Mrs. North, test our familiarity with feline facts when they create a conundrum where the proof of an accused man's guilt or innocence depends on what a child saw and what color a cat's eyes can be. Then murder most British entertains us in Ellis Peters's story of homicide in an English village where the local sergeant's best bet in sniffing out the rat whodunit is an intrepid tabby snooper. With ten other tales of kitties in criminal capers, More Mystery Cats is a collection even the most finicky mystery lover will devour with gusto!